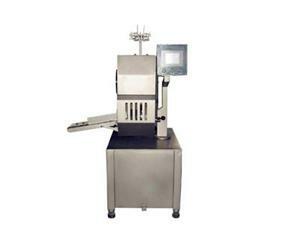 Sausage Clipper with advanced technology, sophisticated processing and detection equipment, reliable product quality. It can be connected with any type quantified to realize automatic production. droved and PLC controlled sample operation ,tightly sealed .the key parts materials are imported . clips delivered accurately and closely . it suits for 15mm chips .at the same time .it can cut the sausage casing automatically .the main parts are made of stainless so that it can resist corrosion and long machine life . it is waterproof and washing conveniently. it is the ideal equipment which ensures the product quality and the high capacity. 1. How to install the machine? The machine is complete assembling for shipment. When arrived at customer factory, just only connect power supply and test run the machine. The sausage clipper can be connected to other types of sausage filler machine. But need detailed connect wiring and machine scheme of the sausage filler machine. 3. Can the machine connect to other supply? Yes, we can make the machine with suitable motor for different countries. OsaintGroup has all kinds of sausage machines, good service and excellent cost performance. Welcome domestic and overseas customers to visit and order!